Draft: 2002, Chicago Cubs, 4th rd. Richard Joseph Hill…resides in Boston with his wife Caitlin, and their son, Brice…is a 1999 graduate of Milton (MA) High School… attended the University of Michigan, where he pitched for three seasons from 2000-2002…selected by the Chicago Cubs in the fourth round of the 2002 First-Year Player Draft and signed by scout Scott May. Went 11-5 with a 3.66 ERA (54 ER /132.2 IP) in 24 starts, holding batters to a .219 average and posting a 1.12 WHIP…led the team with 11 wins ... Among pitchers with 125.0 or more innings, ranked among the NL's best in opponents' batting average (10th), WHIP (1.12) and strikeouts per 9.0 innings (10.18, 9th) ... After returning from the DL on June 19, he went 10-3 with a 3.08 ERA (37 ER /108.0 IP) in his final 19 games (18 starts), while holding batters to a .198 average and posting a 0.98 WHIP… struck out 125 batters against 28 walks…won his final five starts of the season ... Appeared in four games (three starts) during the Dodgers' run to the World Series without factoring in a decision, allowing only four runs in 15.2 innings (2.16 ERA) while holding batters to a .148/.303/.167 slash line. In his first full season with the Dodgers, he posted a 12-8 record with a 3.32 ERA (50 ER/135.2 IP) and posted a 1.09 WHIP...struck out 166 batters against just 49 walks, posting a 11.01 strikeout per nine innings and a 3.39 strikeout-to-walk ratio...Held opposing batters to a .203 average, including a .190 mark against right-handed hitters, which ranked sixth lowest in the Majors...Limited batters to a .186 average with runners in scoring position, which ranked 11th in the big leagues (min. 100 BFP)...also his .114 opponents' batting average with runners in scoring position with two outs ranked sixth in the National League...In 14 starts at home, went 7-5 with a 2.7 7 ERA (24 ER/78.0 IP) and limited the opposition to a .179 average...struck out 93 batters against 33 walks, while posting a 1.05 WHIP...his opponents' batting average at home ranked third in the Majors (min. 10 GS), while his .568 opponents' OPS ranked sixth and ERA ranked 14th...Following the All-Star break, he went 7-4 with a 3.01 ERA (25 ER/74.2 IP) in 13 starts and limited the opposition to a .196 average, while striking out 96 batters against 20 walks...during that span he ranked among National league starters in wins (T-5th), ERA (10th), opponents' batting average (5th), WHIP (0.98, 4th), strikeout per nine (11.57, 4th), strikeout-to-walk ratio (4.80, 5th), strikeouts (96, 6th), opponents' on-base percentage (.259, 2nd) and opponents' OPS (.624, 7th)...On Aug. 23 at Pittsburgh, he took a bid for a perfect game into the ninth inning, and after completing 9.0 hitless frames he surrendered a home run in the 10th...according to the Elias Sports Bureau, this marked the first time in Major League history that a walk-off home run broke up a no-hitter...Elias also notes that Hill became the first pitcher to lose a no-hit bid in the 10th inning or later since the Expos' Pedro Martinez took his bid for a perfect game into the 10th inning on June 3, 1995 vs. the Padres before being pulled after a leadoff double...Named NL Pitcher of the Month for July, after going 4-0 with a 1.45 ERA (5 ER/31.0 IP) in five starts...struck out 40 against just five walks, while holding hitters to a .17 1 average and 0.7 7 WHIP...Made two stints on the disabled list with a blister on his left middle finger, the first coming on April 7-16 and the other on April 17-May 16...returning from his final stint on the DL on May 17, he ranked among the big leagues best among starters (min. 100 IP) in opponents' batting avg. (.194, 5th), opponents' OPS (.616, 7th), strikeouts per nine (11.23, 7th), WHIP (1.06, 8th) and opponents' OBP (.278, 10th)...Did not factor in the decision each of his four starts during the Postseason, while posting a 2.55 ERA (5 ER/17.2 IP) and holding hitters to a .203 average...struck out 24 against just eight walks in 17.2 innings...the club went 3-1 in his starts. Made 20 combined starts with the Athletics and the Dodgers, going 12-5 with a 2.12 ERA and held the opposition to a .195/.269/.261 slashline…struck out 129 against 33 walks in 149.0 innings...Ranked among the Majors' best (min. 100.0 IP) in ERA (2nd), opponents' batting average (3rd) and WHIP (1.00, 5th) despite two stints on the disabled list...Posted a career-best nine-game winning streak from May 7-Sept. 10, going 9-0 with a 1.43 ERA (10 ER/63.0 IP) in 11 starts and struck out 69 batters against just 17 walks…did not allow a home run during the run and held batters to a .158/.228/.190 slashline...Held batters to a .223 average with runners on base and limited hitters to a .233 mark (17-for-73) with runners in scoring position...Opened the season with Oakland, going 9-3 with a 2.25 ERA and posting a 1.09 WHIP in 14 starts…struck out 90 batters against just 28 walks in 76.0 innings and limited hitters to a .201/.293/.266 slashline...Prior to the trade, he led the American League (min. 75.0 IP) in ERA and home runs allowed per 9.0 innings (0.24, 2 HR/76.0IP), while ranking among the league's best in opponents' average (2nd), WHIP (9th) and strikeouts per 9.0 innings (10.66, 90 SO/76.0 IP)• Finished May with a 5-1 record with a 2.13 ERA and a .178 opponents' batting average in six starts to earn AL Pitcher of the Month honors…it was his first career Pitcher of the Month award and it was the first time he won more than three games in a month in his career...Acquired by the Dodgers on Aug. 1 along with outfielder Josh Reddick in exchange for right-handed pitchers Jharel Cotton, Grant Holmes and Frankie Montas...Made six starts with the Dodgers, going 3-2 with a 1.83 ERA (7 ER/34.1 IP) and posting a 0.79 WHIP…struck out 39 batters against just seven walks, while limiting the opposition to a .182/.213/.248 slashline...Tossed 7.0 perfect innings with nine strikeouts on Sept. 10 at Miami and left the game after 89 pitches, the longest perfect game stint for a pitcher who did not get a chance to finish it off in modern MLB history. Went 1-1 with a 3.46 ERA (5 ER/13.0 IP) in three postseason starts and struck out 19 against just six walks in 13.0 innings…made starts in Games 2 and 5 of the NLDS vs. the Nationals, going 0-1 with a 6.43 ERA (5 ER/7.0 IP)…picked up his first career postseason win against the Cubs in Game 3 of the NLCS, allowing just two hits and striking out six in 6.0 scoreless innings• Placed on the 15-day disabled list from May 30-July 2 with a strained left groin…returned to the disabled list from July 20-Aug. 24 with a left middle finger blister. Began the season at Triple-A Syracuse in the Washington organization and finished it by going 2-1 with a 1.55 ERA in four September starts with Boston…the starts were his first as a major leaguer since making 13 with Baltimore in 2009…struck out 36 batters in 29.0 innings (11.17 per nine innings) and walked just five for a strikeout-to-walk ratio of 7.20…has 96 strikeouts in 73.0 innings over the last three years (11.84 per nine innings)…allowed a .141 batting average, including .138 (11-for-80) with both of his home runs against right-handed hitters compared to .158 (3-for-19) against left-handers…yielded a .154 average with runners in scoring position…had a .242 opponents average the first time through the lineup, .091 after that…was selected by Boston Sept. 8 and made his first start Sept. 13 at Tampa Bay… tossed 7.0 shutout innings and allowed just one hit and one walk while striking out 10, but had a no decision in a 2-0 Red Sox win…it was his first start since July 27, 2009 against Kansas City…joined Hideo Nomo (no-hitter, April 4, 2001) as the only pitchers in the last 100 years with 10 or more strikeouts and one hit or fewer in their first career start as a Red Sox…picked up his first win in his second start Sept. 20 at Toronto…struck out 10 in 7.0 innings again and allowed three runs in a 4-3 decision…then tossed the Red Sox only complete game shutout of the season, a two-hitter in a 7-0 win over Baltimore Sept. 25 in his only start at Fenway…walked one and struck out 10…it was his third career complete game, his first since Sept. 22, 2006 at Cincinnati…it was his second career shutout (Sept. 16, 2006 against Cincinnati)…it came in his 200th career appearance…became the first pitcher to strikeout 10 or more batters in each of his first three starts with any American League team…according to the Elias Sports Bureau, he is the only pitcher since 1900 to make his season debut in September or later and record 10 or more strikeouts in each of his first three starts…is the fifth pitcher in Red Sox history to reach double-digits in strikeouts in at least three straight games…took the loss in his final start Oct. 1 at New York (AL)… tossed 6.0 innings to bring his career total to 500.0. Pitched for three different organizations, including stints in the majors with the Angels and Yankees…was signed by Boston to a minor league contract Feb. 8 and was traded to Los Angeles (AL) July 1…allowed a run on one hit and three walks in two appearances without recording an out and was released July 9…signed a minor league deal with New York (AL) July 16 and made four appearances with Triple-A Scranton/Wilkes-Barre before joining the Yankees Aug. 5…logged a 1.69 ERA in 14 appearances with New York and combined for a 3.38 ERA in 16 appearances overall…tossed just 5.1 innings and never more than 0.2 in an outing…faced just one batter eight times…nine of his 16 outs were recorded by strikeout…allowed just 1-of-16 (6.3%) inherited runners to score but first batters faced hit .308 with a .438 on-base percentage…opponents hit .318 overall, including .250 by left-handed hitters and .500 by right-handers…did not allow a run in 11 games (4.2 ip) at Yankee Stadium…started the year at Triple-A Pawtucket and went 3-3 with two saves and a 3.23 ERA in 25 appearances…struck out 45 in 39.0 innings and did not allow a home run…held the opposition to a .206 batting average, including .196 against lefties…did not allow a run in 10 games on the road (18.0 ip)…tossed at least one inning in 24 of his 25 appearances, including a season-high 3.0 June 4 at Durham…struck out a season-high five batters May 23 at Syracuse…had a 3.62 ERA at the end of May…then started June with a 10.0 inning scoreless streak…recorded the save in his final outing with Pawtucket June 28 against Durham…was traded to Los Angeles (AL) July 1 for cash and made both of his appearances with the Angels that day in a doubleheader at Chicago (AL)…was designated for assignment July 5 and released July 9…was assigned to Scranton/Wilkes-Barre after signing with the Yankees and did not allow a run in four relief appearances (4.0 ip)…pitched one inning and struck out at least two batters in each outing for a total of 10 strikeouts in 4.0 innings…was on the disabled list July 26 to Aug. 1 with an inflamed left shoulder… was reinstated Aug. 2, pitched against Syracuse that day, and was promoted to New York Aug. 5…did not allow a run in six August appearances (2.1 ip)…was designated for assignment Aug. 29, outrighted to Scranton/Wilkes-Barre Aug. 31 and selected by New York Sept. 2…did not allow a run in his first five appearances following his return for a 4.2-inning scoreless streak overall. Set career highs in the majors as a reliever in appearances (63), innings (38.2), and SO (51)...No runs allowed in 46 of 63 appearances and no ER in 48 of the 63 games...Finished with 13 holds, 2nd most on the team...Averaged 11.9 SO/9.0 IP (51 SO/38.2 IP)...Held lefties to a .238 AVG (20-for-84) with 2 HR...Had a 3.09 ERA (4 ER/11.2 IP) and held opponents to a .195 AVG (8-for-41) over his first 16 games of the season compared to a 7.67 ERA (23 ER/27.0 IP) with a .280 AVG (30-for-107) in his last 47 games...Stranded 51 of his AL-high 63 inherited runners…His inherited runners scored rate of 19.0% was 8th lowest in the AL...Snapped a streak of 51 consecutive games (40.2 IP) without allowing a HR when Andy Dirks hit one on 5/11 at DET…Was his 1st HR allowed in his ML career as a reliever and his 1st allowed overall since 7/21/09 vs. NYY. Began the season on the 15-day DL while recovering from Tommy John surgery performed on 6/9/11...Combined for a 2.00 ERA (2 ER/9.0 IP) with 2 BB, 18 SO in 8 rehab games for Single-A Greenville (2 G), High-A Salem (3 G)and Triple-A Pawtucket (3 G) before being activated from the DL on 4/27...On 4/29 at CWS, made his 1st ML appearance since 6/1/11, and allowed 1 run in 0.2 IP...Was his 1st run allowed with Boston, snapping a record 15-game scoreless stretch to begin a Red Sox career (12.0 IP)...Posted a 9-game scoreless stretch from 5/1-19 (7.2 IP) and a career-high 8-game hitless streak from 5/4-19 (6.0 IP), tying the longest all-time hitless games stretch for a Red Sox pitcher, last by Hideki Okajima from 9/17/08-4/7/09...Allowed just 3 base runners during that 8-game stretch, all walks...Earned the win with a scoreless 9th on 5/26 vs. TB, his 1st victory since 9/14/10 at SEA...Allowed 2 runs on 5/31 vs. DET, the only time he's allowed multiple runs since joining the Sox in 2010...Landed back on the 15-day DL on 6/10 (retro to 6/9) with a left elbow strain and transferred to the 60-day DL on 7/6...In 8 rehab appearances between the Rookie-level GCL Red Sox (2 G), Double-A Portland (1 G) and Pawtucket (5 G), went 1-1 with a 2.45 ERA (2 ER/7.1 IP) and 9 SO...Was activated on 9/1...Was not charged with a run in 6.0 innings over 8 appearances after coming off the DL on 9/1...Did not allow a run in a season-high 10 straight games overall to end the season dating back to 6/3, throwing 8.0 frames with 12 SO in that stretch...22 of his 25 ML appearances were scoreless, 16 were hitless, and 9 were perfect...Allowed just 1 run in 13 games against the AL East (10.1 IP) for a 0.87 ERA, and also recorded 12 SO in those contests...14 of 15 outings at Fenway were scoreless...Posted a 1.38 ERA (2 ER/13.0 IP) at home...Held lefties to a .205 AVG (8-for-39) while right-handers hit .273 (9-for-33) off him...Recorded 6 holds, a career single-season high (prev. 3 in 2011). Limited to nine games with the Red Sox due to season-ending Tommy John Surgery. Was placed on the 15-day disabled list on 6/3 (retroactive to 6/2) and underwent successful surgery on 6/9 to reconstruct a torn ulnar collateral ligament in his left arm, performed by Dr. James Andrews in Pensacola, FL. ... Was transferred to the 60-day DL on 6/27. Selected to active ML roster from Triple-A Pawtucket on 5/5. ... Did not allow a run in 9 outings spanning 8.0 innings out of the bullpen for Boston. ... Retired 24 of 31 batters faced with at least 1 K in eight of the nine games (12 total). Held opponents to a .115 AVG (3-for-26), including .071 vs. lefties (1-for-14).Began the year with Triple-A Pawtucket...Went 1-0 with one save and a 1.13 ERA (2 ER/16.0 IP) over 10 relief appearances with the PawSox, surrendering earned runs in only one game. With Pawtucket, had 18 K's and held opponents to a .143 clip (8-for-56), including .100 (2-for-20) vs. lefties. Split the season between the St. Louis and Boston organizations, including 6 relief outings for the Red Sox in September...Signed with Boston as a minor league free agent on 6/30 and selected to the Major League roster on 9/13, tossing 4.0 scoreless innings over 6 relief outings...Became the 93rd Massachusetts-born player to appear in a game for the Red Sox...Held left-handed hitters to a .125 batting average (1-for-8)...Earned the win in his Red Sox debut at SEA on 9/14, retiring the only batter he faced to end the 7th inning...Became the 1st pitcher to win his Boston debut in relief since Anastacio Martinez on 5/22/04 vs. TOR...Assigned to Triple-A Pawtucket after signing minor league deal with the Red Sox and went 3-1 while pacing the PawSox with a 3.74 ERA (22 ER/53.0 IP) in 19 games (6 starts) beginning with his 7/1 debut...Combined to go 7-4 with a 4.00 ERA (44 ER/99.0 IP) and 102 strikeouts in 42 combined Triple-A appearances (10 starts) between the Triple-A Cardinals Memphis affiliate and Pawtucket. Was on the disabled list twice: 3/29-5/16 with a strained left elbow and 7/29 until the end of the season with left shoulderinflammation. He drew starting assignment in 13 of his 14 appearances with Baltimore...Earned the win in his first start, 5/16 at KC. Set season-highs with 7.0 IP and seven strikeouts on 6/1 at SEA earning hissecond win...The Orioles went 7-2 in his first nine starts but ended the season 1-3 in his final four starts. Spent his first full season with the Cubs, going 11-8 in 32starts...limited opponents to a .235 batting average, ranking fifthin the N.L....produced 17 quality starts...received just 3.4 runs ofsupport, the second-lowest mark in the majors...spun a gem inhis first start of the season 4/6 at MIL, allowing just one run onone hit (C.Hart HR) with no walks and six K's in 7.0 IP...becamefirst Cubs left-handed starter to toss at least 7.0 innings andallow only one hit in more than 30 years (when data began beingtracked in mid-'70s)...tossed 8.0 shutout innings 4/19 in ATL...according to Elias, he became the first Chicago Cub to win hisfirst three starts with an ERA as low as 0.41 since 1918, whenPhil Douglas won his first three starts with a 0.33 ERA. 2007POSTSEASON: Tagged with the loss in Game 3 of the NLDSvs. Arizona, worked 3.0 innings and allowed three runs on six hits. Hill learned a lot in his rookie season, going 5-7 with a 4.25 ERA in 16 starts. He finished 3-1 with a 1.93 ERA in September, and posted three double-digit strikeout games. Hill had back-to-back complete games, Sept. 16 and Sept. 22, although the second game was a rain-shortened five-inning start against Cincinnati. Rich made his first career big league start July 25 against San Francisco ... did not factor into the decision ofthe 3-2 Cub victory ... made his major league debut June 15 against Florida - gave up 2 runs in 1.0 inning of work ... went 0-2 with a 9.13 ERA in three stints with the big league club ... pitched 4.1 scoreless innings of relief on June 22 in Milwaukee ... walked two batters and struck out six in the 9-4 Cub loss ... the 4.1 inning-stint was the longest by a Cub reliever all season ... hit an infield single off Doug Davis for his first career hit ... ranked third among all minor leaguers in strikeouts - fanning 194 batters in 22 games for Iowa (AAA), West Tenn (AA) and Peoria (A) ... also led all minor league pitchers with 13.4 strikeouts per 9.0 innings ... opened the year at West Tenn, going 4-3 with a 3.28 ERA in 10 starts ... struck out 90 batters in 57.2 innings of work ... appeared in one game for Peoria (A) ... picked up the win on July 8, pitching 8.0 innings and striking out 12 ... was 6-1 in 11 games (10 starts) for Iowa ... posted a 3.60 ERA with 92 strikeouts ... was named the Pacific Coast League Pitcher of the Week for the week of August 15-21 ... allowed 4 runs (3 earned) in two games during the week - gave up just 2 walks and struck out 21 batters in 13.1 innings of work ... recorded his first career complete game in a 7.0-inning win at New Orleans on August 25 ... named the 14th-best prospect in the Pacific Coast League and the 5th-best prospect in the Cubs minor league system following the 2005 season by Baseball America. Rich went 7-6 with a 4.03 ERA in 28 games (19starts) for Daytona (A) ... led the team in strikeouts, fanning 136 batters in 109.1 innings of work ... struck out a season-high 10 batters in back-to-back starts May 20 and May 25 ... went 5-5 with a 3.93 ERA in his starts ... gave up 3 orfewer earned runs in 15 of his 19 starts and wasunscored upon in five of those starts ... pitched well on the road, posting a 1.53 ERA (9 ER/53.0 IP) in those contests ... was selected by Baseball America as having the best curveball in the Cubs' organization ... led the league with 72 walks. Split the season between Lansing (A) and Boise(A) - combining to go 1-7 with 149 strikeouts and a 3.87 ERA in 97.2 innings of work ... began the campaign at Lansing, going 0-1 with a 2.76ERA in 15 games (four starts) for the Lugnuts ... held opponents to a .141 average ... did not allow any home runs ... went 1-6 with a 4.35 ERA in 14 starts for Boise ... led the Northwest League with 99 strikeouts ... struck out a then career-high 13 batters and picked up the win June 30 at Everett. Began his pro career at Boise (A), going 0-2 witha 8.36 ERA in six games (five starts). April 17, 2019 Los Angeles Dodgers envian a LHP Rich Hill una asignaci&oacute;n de rehabilitaci&oacute;n a Rancho Cucamonga Quakes. March 28, 2019 Los Angeles Dodgers ponen a LHP Rich Hill on the 10-d&iacute;a lista de lesionados retroactivo al March 25, 2019. Left knee sprain. June 19, 2018 Los Angeles Dodgers activan a LHP Rich Hill de la 10-d&iacute;a lista de lesionados. June 14, 2018 Los Angeles Dodgers envian a LHP Rich Hill una asignaci&oacute;n de rehabilitaci&oacute;n a Rancho Cucamonga Quakes. May 20, 2018 Los Angeles Dodgers ponen a LHP Rich Hill on the 10-d&iacute;a lista de deshabilitado. Blister on left middle finger. May 8, 2018 Los Angeles Dodgers activan a LHP Rich Hill de la 10-d&iacute;a lista de deshabilitado. April 18, 2018 Los Angeles Dodgers ponen a LHP Rich Hill on the 10-d&iacute;a lista de deshabilitado retroactivo al April 15, 2018. Left third digit inflammation. May 16, 2017 Los Angeles Dodgers activan a LHP Rich Hill de la 10-d&iacute;a lista de deshabilitado. May 4, 2017 Los Angeles Dodgers envian a LHP Rich Hill una asignaci&oacute;n de rehabilitaci&oacute;n a Rancho Cucamonga Quakes. April 17, 2017 Los Angeles Dodgers ponen a LHP Rich Hill on the 10-d&iacute;a lista de deshabilitado. Blister on left middle finger. April 16, 2017 Los Angeles Dodgers activan a LHP Rich Hill de la 10-d&iacute;a lista de deshabilitado. April 7, 2017 Los Angeles Dodgers ponen a LHP Rich Hill on the 10-d&iacute;a lista de deshabilitado retroactivo al April 6, 2017. Blister on left middle finger. December 5, 2016 Los Angeles Dodgers agente libre firmado LHP Rich Hill. November 3, 2016 LHP Rich Hill eligio agente libre. August 24, 2016 Los Angeles Dodgers activan a LHP Rich Hill de la 15-d&iacute;a lista de deshabilitado. August 2, 2016 Los Angeles Dodgers ponen a LHP Rich Hill on the 15-d&iacute;a lista de deshabilitado retroactivo al August 1, 2016. Left middle finger blister. August 1, 2016 Oakland Athletics cambian a RF Josh Reddick and Rich Hill a Los Angeles Dodgers for RHP Frankie Montas, RHP Grant Holmes and RHP Jharel Cotton. July 30, 2016 Oakland Athletics ponen a LHP Rich Hill on the 15-d&iacute;a lista de deshabilitado retroactivo al July 18, 2016. Left middle finger blister. July 2, 2016 Oakland Athletics activan a LHP Rich Hill de la 15-d&iacute;a lista de deshabilitado. June 27, 2016 Oakland Athletics envian a LHP Rich Hill una asignaci&oacute;n de rehabilitaci&oacute;n a Stockton Ports. June 9, 2016 Oakland Athletics ponen a LHP Rich Hill on the 15-d&iacute;a lista de deshabilitado retroactivo al May 30, 2016. Left groin strain. November 20, 2015 Oakland Athletics agente libre firmado LHP Rich Hill. November 2, 2015 LHP Rich Hill eligio agente libre. September 8, 2015 Boston Red Sox seleccionado el contrato de LHP Rich Hill de Pawtucket Red Sox. August 14, 2015 Boston Red Sox agente libre firmado LHP Rich Hill con un contrato de la ligas menores. August 14, 2015 LHP Rich Hill asignado a Pawtucket Red Sox. June 24, 2015 Syracuse Chiefs liberan a LHP Rich Hill. June 12, 2015 Syracuse Chiefs activan a LHP Rich Hill de la 7-d&iacute;a lista de deshabilitado. June 8, 2015 Syracuse Chiefs ponen a LHP Rich Hill on the 7-d&iacute;a lista de deshabilitado. March 3, 2015 LHP Rich Hill asignado a Syracuse Chiefs. February 28, 2015 Washington Nationals agente libre firmado LHP Rich Hill con un contrato de la ligas menores y invitado a spring training. October 30, 2014 LHP Rich Hill eligio agente libre. September 2, 2014 New York Yankees seleccionado el contrato de LHP Rich Hill de Scranton/Wilkes-Barre RailRiders. September 1, 2014 New York Yankees envian a LHP Rich Hill envian a rotundamente a Scranton/Wilkes-Barre RailRiders. August 29, 2014 New York Yankees designado LHP Rich Hill para la asignaci&oacute;n.
August 5, 2014 New York Yankees seleccionado el contrato de LHP Rich Hill de Scranton/Wilkes-Barre RailRiders. August 2, 2014 Scranton/Wilkes-Barre RailRiders activan a LHP Rich Hill de la 7-d&iacute;a lista de deshabilitado. July 26, 2014 Scranton/Wilkes-Barre RailRiders ponen a LHP Rich Hill en la 7-d&iacute;a lista de deshabilitado. July 17, 2014 LHP Rich Hill asignado a Scranton/Wilkes-Barre RailRiders. July 16, 2014 New York Yankees agente libre firmado LHP Rich Hill con un contrato de la ligas menores. July 9, 2014 Los Angeles Angels liberan a LHP Rich Hill. July 5, 2014 Los Angeles Angels designado LHP Rich Hill para la asignaci&oacute;n.
July 1, 2014 Boston Red Sox cambian a LHP Rich Hill a Los Angeles Angels for cash. April 1, 2014 LHP Rich Hill asignado a Pawtucket Red Sox. January 29, 2014 Boston Red Sox agente libre firmado Rich Hill. March 11, 2013 Cleveland Indians seleccionado el contrato de LHP Rich Hill de Columbus Clippers. February 7, 2013 Cleveland Indians agente libre firmado LHP Rich Hill con un contrato de la ligas menores y invitado a spring training. February 7, 2013 Rich Hill estado en la lista cambian a por Columbus Clippers. November 30, 2012 LHP Rich Hill eligio agente libre. September 1, 2012 Boston Red Sox activan a LHP Rich Hill de la 60-d&iacute;a lista de deshabilitado. August 19, 2012 Portland Sea Dogs envian a LHP Rich Hill una asignaci&oacute;n de rehabilitaci&oacute;n a Pawtucket Red Sox. August 17, 2012 Rich Hill asignado a Portland Sea Dogs de GCL Red Sox. August 13, 2012 envian a LHP Rich Hill una asignaci&oacute;n de rehabilitaci&oacute;n a GCL Red Sox. July 6, 2012 Boston Red Sox transferido LHP Rich Hill de la 15-d&iacute;a lista de deshabilitado a la 60-d&iacute;a lista de deshabilitado. June 10, 2012 Boston Red Sox ponen a LHP Rich Hill en la 15-d&iacute;a lista de deshabilitado retroactivo al June 9, 2012. Left forearm soreness. April 27, 2012 Boston Red Sox activan a LHP Rich Hill de la 15-d&iacute;a lista de deshabilitado. April 20, 2012 Salem Red Sox envian a LHP Rich Hill una asignaci&oacute;n de rehabilitaci&oacute;n a Pawtucket Red Sox. April 13, 2012 Rich Hill asignado a Salem Red Sox. April 7, 2012 envian a LHP Rich Hill una asignaci&oacute;n de rehabilitaci&oacute;n a Greenville Drive. April 4, 2012 Boston Red Sox ponen a LHP Rich Hill en la 15-d&iacute;a lista de deshabilitado retroactivo al March 26, 2012. Recovering from June 2011 Tommy John surgery. February 21, 2012 Boston Red Sox seleccionado el contrato de LHP Rich Hill de Pawtucket Red Sox. December 13, 2011 Boston Red Sox agente libre firmado LHP Rich Hill con un contrato de la ligas menores y invitado a spring training. December 13, 2011 Rich Hill asignado a Pawtucket Red Sox. December 12, 2011 LHP Rich Hill eligio agente libre. October 31, 2011 Boston Red Sox activan a LHP Rich Hill de la 60-d&iacute;a lista de deshabilitado. June 27, 2011 Boston Red Sox transferido LHP Rich Hill de la 15-d&iacute;a lista de deshabilitado a la 60-d&iacute;a lista de deshabilitado. June 3, 2011 Boston Red Sox ponen a LHP Rich Hill en la 15-d&iacute;a lista de deshabilitado retroactivo al June 2, 2011. Left elbow sprain. May 5, 2011 Boston Red Sox seleccionado el contrato de LHP Rich Hill de Pawtucket Red Sox. December 16, 2010 Boston Red Sox agente libre firmado LHP Rich Hill con un contrato de la ligas menores y invitado a spring training. 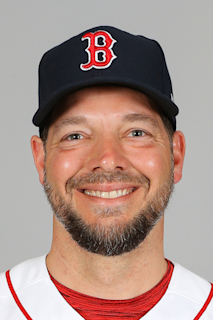 December 16, 2010 Rich Hill asignado a Pawtucket Red Sox. October 8, 2010 Boston Red Sox envian a Rich Hill envian a rotundamente a Pawtucket Red Sox. September 13, 2010 Boston Red Sox seleccionado el contrato de Rich Hill de Pawtucket Red Sox. June 30, 2010 Boston Red Sox agente libre firmado LHP Rich Hill con un contrato de la ligas menores. June 30, 2010 LHP Rich Hill eligio agente libre. June 30, 2010 Rich Hill asignado a Pawtucket Red Sox de Boston Red Sox. April 6, 2010 LHP Rich Hill asignado a Memphis Redbirds de St. Louis Cardinals. January 26, 2010 St. Louis Cardinals agente libre firmado LHP Rich Hill con un contrato de la ligas menores y invitado a spring training. October 30, 2009 Baltimore Orioles envian a Rich Hill envian a rotundamente a Norfolk Tides. September 1, 2009 Rich Hill estado en la lista cambian a por Baltimore Orioles. July 29, 2009 Baltimore Orioles ponen a LHP Rich Hill en la 15-d&iacute;a lista de deshabilitado retroactivo al July 28, 2009. Left shoulder inflammation. May 16, 2009 Baltimore Orioles activan a LHP Rich Hill de la 15-d&iacute;a lista de deshabilitado. April 29, 2009 Frederick Keys envian a LHP Rich Hill una asignaci&oacute;n de rehabilitaci&oacute;n a Norfolk Tides. April 23, 2009 Baltimore Orioles envian a LHP Rich Hill una asignaci&oacute;n de rehabilitaci&oacute;n a Frederick Keys.